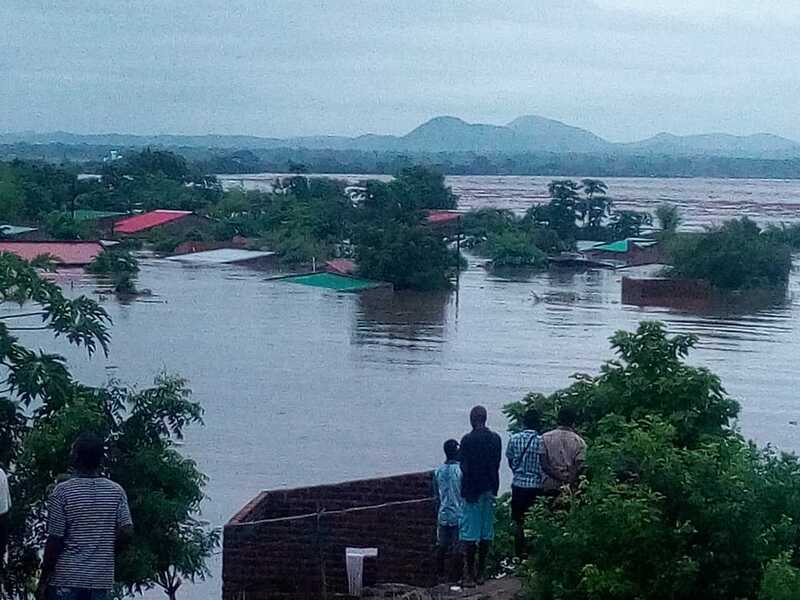 Cyclone Idai devastates eastern Zimbabwe with massive flooding, rocks, and mudslides. Image shared widely on social media. Tropical Cyclone Idai has left a devastating trail of destruction and death after sweeping through Mozambique, Malawi and Zimbabwe in Southern Africa. At least 162 people have lost their lives so far in the devastating storm across Mozambique and Zimbabwe. In Mozambique, the city of Beira has been nearly entirely wiped out. At least 89 people have died in Zimbabwe alone, amid fears of a higher figure, in Manicaland’s Chimanimani district, located 406 kilometers east of Zimbabwe’s capital, Harare, as homes and bridges were swept away by a tropical storm that began on Friday. More than 300 people are missing according to the government. The United Nations in Zimbabwe said that more than 8,000 people have been affected by the flooding in the eastern parts of the country. According to the government, Cyclone Idai hit the Ngangu Township are in Chimanimani the hardest where most lives were lost. Over a hundred houses were damaged by falling mud and rocks. The storm originated in the Indian Ocean and led to a torrential rainstorm which commenced in Mozambique on Thursday, with wind speeds of about 160 kilometers per hour, reportedly causing ocean waves of up to 9 meters high. The police and military have been deployed to assist in the evacuation of victims. Visibility, according to the Information ministry, has significantly improved and this will help airforce helicopters to evacuate more people. The Airforce of Zimbabwe and the Zimbabwe National Army are on the ground saving lives. Local government minister July Moyo said that bodies are currently being seen floating in rivers and nothing much can be done at the moment. Roads, bridges and telephones are currently cut off and hundreds of homes destroyed. Country director for the International Red Cross (IRC) Zimbabwe Paolo Cernuschi said the IRC teams in Zimbabwe are trying to reach communities affected by the cyclone but the infrastructure damage is severe and the teams couldn’t reach Chimanimani or Chipinge. “Urgent road repairs in progress so we will try again in the morning,” said Cernuschi. The Zimbabwe government held an inter-ministerial committee on Sunday morning and subsequently set up 10 subcommittees to deal with hard-hit areas. Committees will deal with areas related to food security, resource mobilization, safety and shelter, transport, water and sanitation among other critical areas. An official with the Meteorological Services Department said that the cyclone has weakened greatly and shifted from eastern to northeastern areas of Zimbabwe. “Up to 200 millimeters of rainfall was recorded in Chipinge [located in eastern Zimbabwe], 118 millimeters north of Chipinge, and 102 millimeters in Buhera [southeastern Zimbabwe],” said the official. He warned that the eastern highlands of the country should still expect floods due to the torrential rains and advised the public to avoid traveling there. Not much precipitation was expected on Monday, with light rainfall and better weather conditions expected to commence on Monday. Recovery efforts will be long term and relief efforts are underway.